If you’ve not visited Newcastle upon Tyne in a while you won’t recognise this northern city in England! 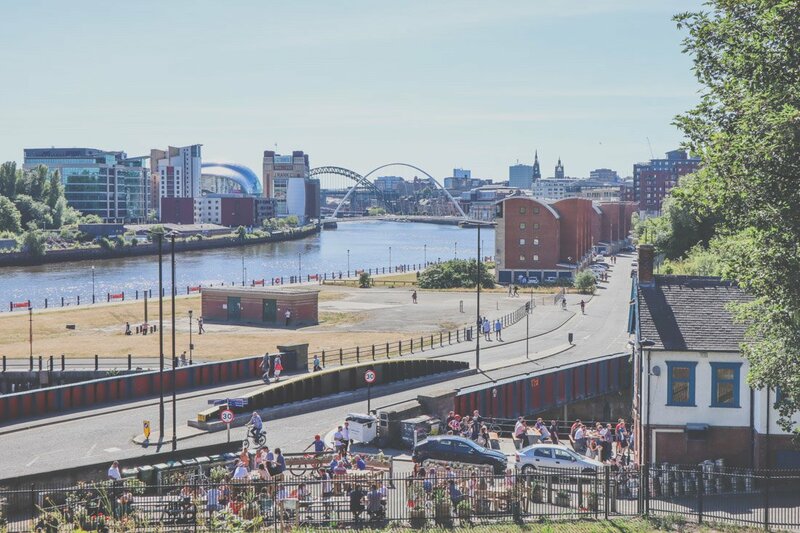 Most Brits associate a trip to the Toon as an excuse to get tanked up in the Bigg Market but the city, and its neighbouring town Gateshead has so much more to offer than just a party (albeit socialising still makes up a big part of the city’s vibes). 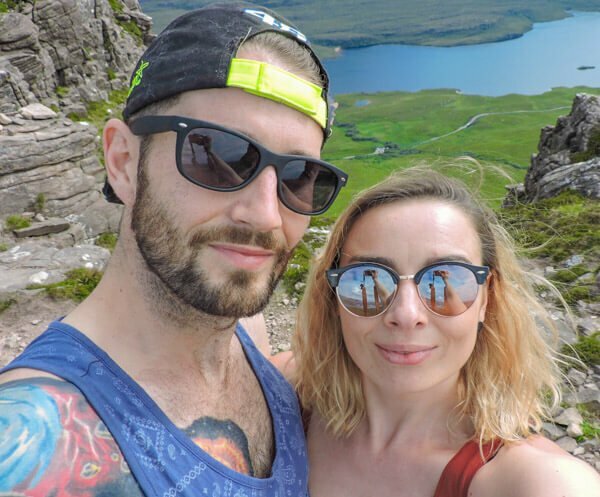 Craig and I (Gemma) had the pleasure of venturing down south to catch a show at the Sage Gateshead, check out the museums and have a few drinks at the cool Ouseburn neighbourhood. 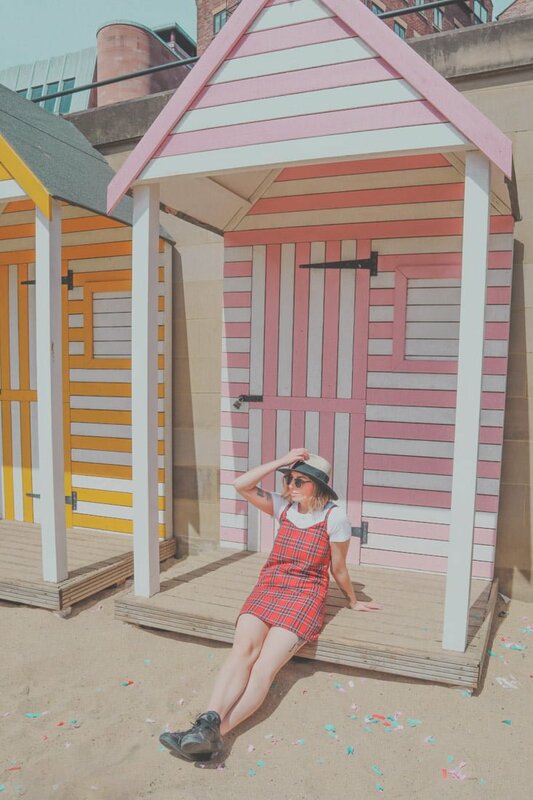 This guide details cheap things to do in Newcastle, we’re all about affordable travel at Two Scots Abroad! For 700 years this building looked after the needy and sick but today it is only to open to the public on National Heritage Days (we have Open Doors Days in Scotland, I love behind the scenes opps aka time to have a nosy). This Grade II building was not only a hospital but also a base for Henry VIII’s Council and a museum in the 70s. Across the road from the hospital is stairs down the Quayside which are hidden amongst lots of trees, plants and a derelict historic building. Can anyone help me out – what is this called? As always, we seek out the best rooftop bars in cities and Newcastle’s The Botanist was our go-to. Recommended by our Facebook followers, we hiked the 76 steps to the top floor, opening the door to what looks like the Garden of Eden. The views of the city are subtle, nestled among plants and rustic wood. Smoking cocktails come in pots and planters, very Instagram worthy – I ordered the Apricot and Peach Smash (and then two other punters followed suit). This rooftop is roofless so if the typical British weather pours head downstairs for live music and a park in a pub vibe. 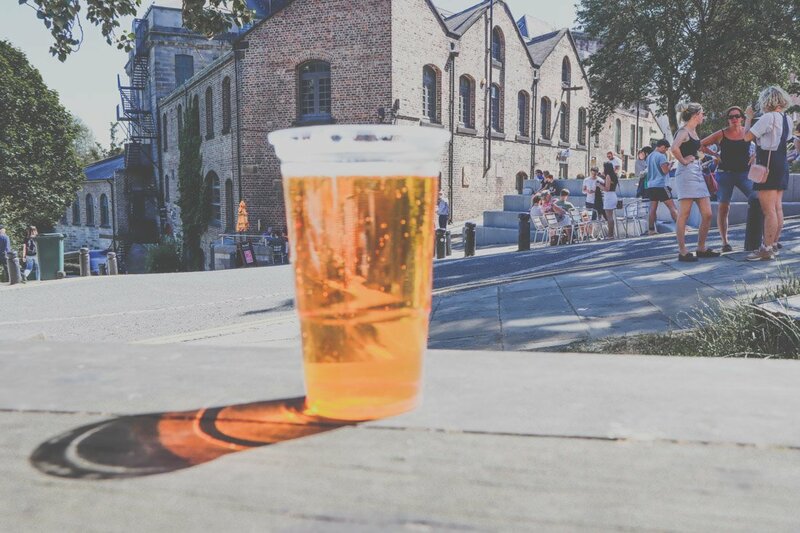 One of the best things to do in Newcastle is to wander around the hipster Ouseburn (Oose-burn) area down towards the water and along the Quayside, stopping for a few drinks at the bars along the way. For a bustling outdoors, pull up a pew under the big sheep street art at the Ship Inn (screens for sports indoors) or grab an empty spot of cement or grass across the road at The Cluny. 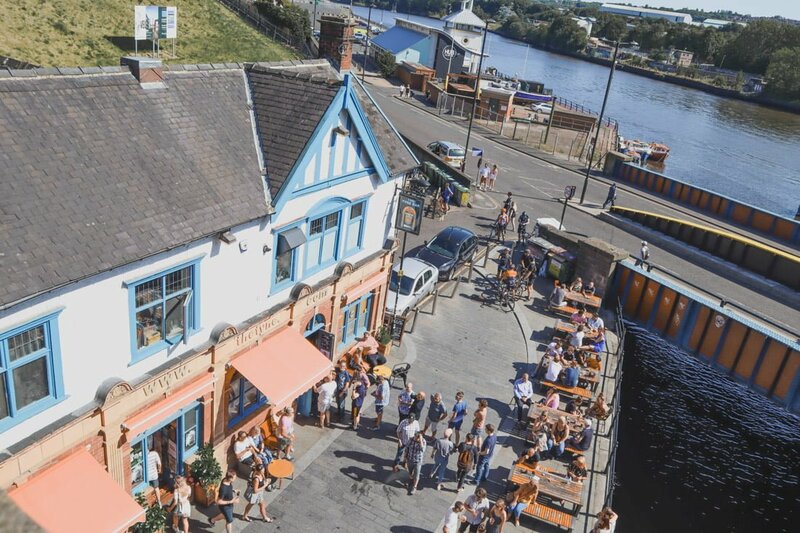 Take the path along the water, admiring the street art along the way, to The Tyne Bar for live music and end your Ouseburn pub crawl with views of the River Tyne at the Free Trade Inn (free jukebox to boot). It goes without saying that each of these establishments offers an array of craft beers, I even managed to find a raspberry one, hooray! 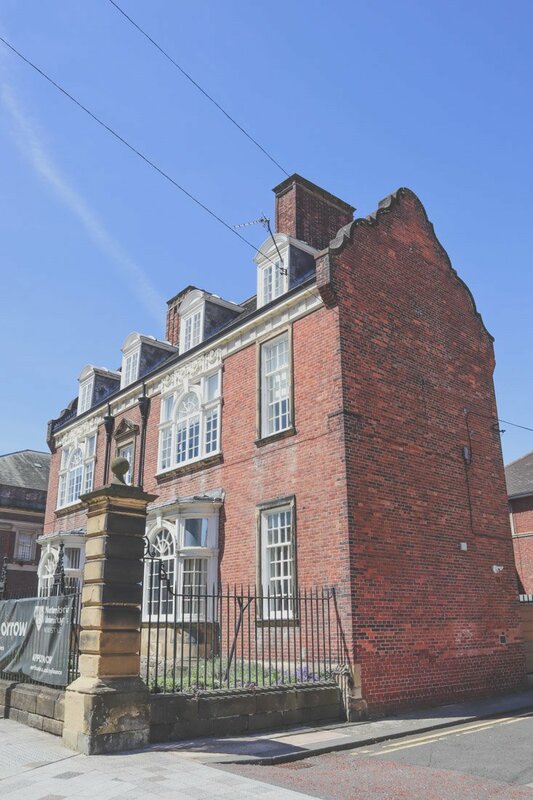 This art gallery is located just before the cool Ouseburn neighbourhood and is home to the largest independent arts, craft and design gallery in the UK. 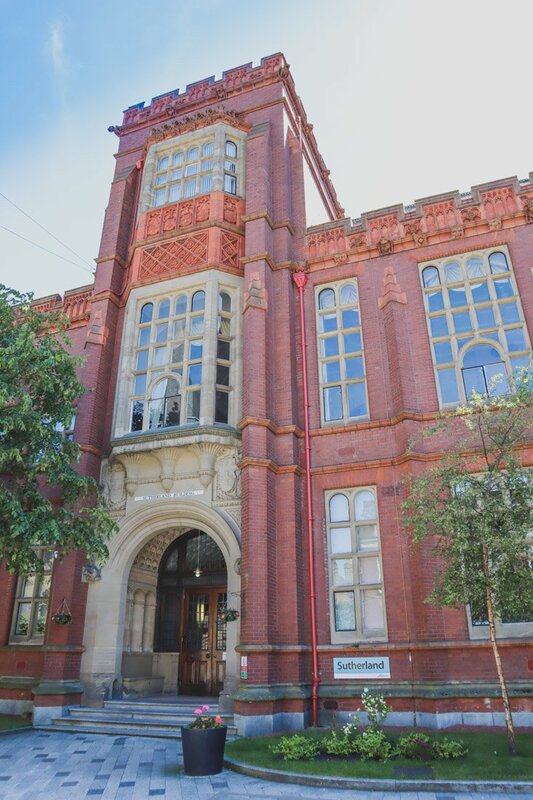 The former Victorian warehouse also hosts private parties, meetings and craft fayres. 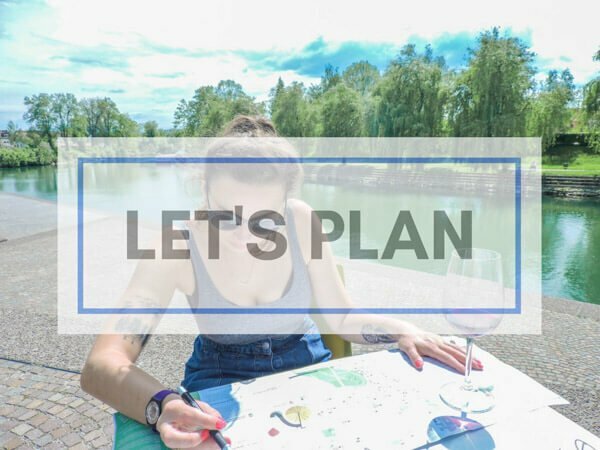 There are four exhibitions per year which exhibit approximately 250 artists each quarter so even if you’ve been before it’s always worth another look. The Factory Kitchen serves fresh food and nice views of the city. The most interesting UK cities have a historical story underground and Newcastle joins the ranks with its award-winning Victoria Tunnel. The Tunnel located in Ouseburn Valley used to allow the passage of waggons transporting coal from the 1840s-60s then used again during WWII as an air raid. 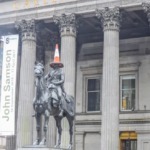 the tour takes you underground and explains what stands above including Hadrian’s Wall! Pre-booking is essential. It’s worth taking a detour through campus to see the likes of Burt Hall and the 18th century Sutherland Building (below). Burt Hall, formally the Minors’ Association Building, was named after Thomas Burt, General Secretary of Northumbria Minors, MP and then Secretary of State of Trade. Have you ever heard of a football stadium smack bang in the middle of town? Well, that’s how they roll in Newcastle. Newcastle United’s stadium offers tours for football fans which includes a guided tour through the changing rooms, down the tunnel and into the media room. Since the Toon Army’s pitch is up high you also get a great view of Tyneside thrown in! Getting there: 10-min walk from city centre or 5-minute walk from Monument Metro. Swing by Grainger Market (Mon-Sat 9am-4pm) to see local vendor sell fruit, vegetables, fish and crafts in the Grade I building standing since 1835. If you like markets, stroll down to the Quayside on Sundays for art, fashion, plants and snacks. Head over the Millennium Bridge to Gateshead’s contemporary art museum, BALTIC. 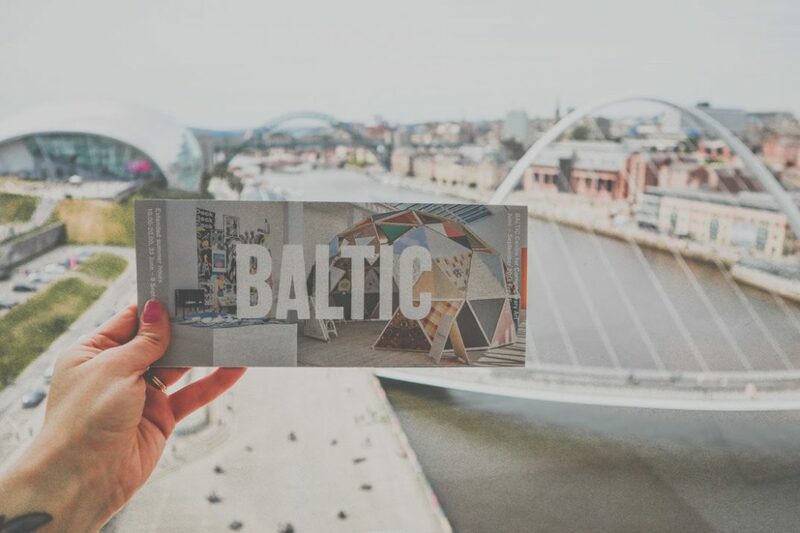 Just like Liverpool’s Baltic Triangle, Gateshead’s BALTIC is the cool place to be. This is by far my favourite museum in Newcastle, I knew it would be before we set foot in it for two reasons. 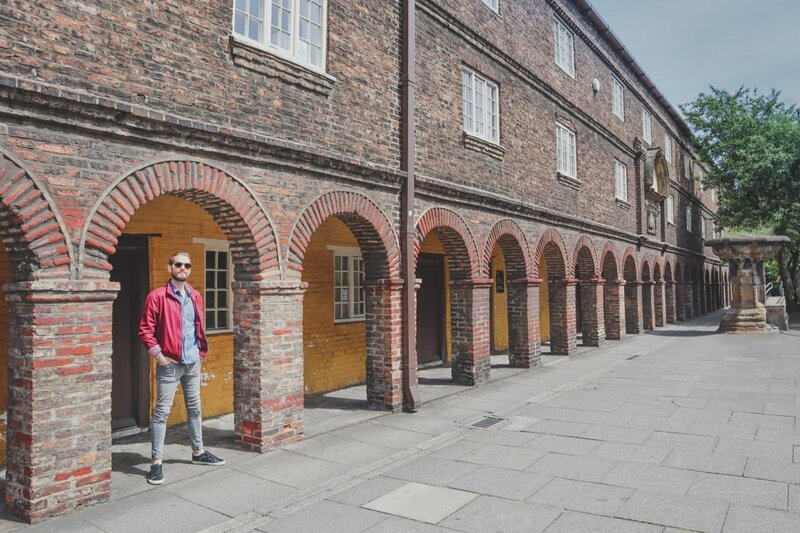 Firstly, it is located in a converted mill, I’m always drawn to those orange bricks and love to see buildings with history being used for something new. Secondly, at night an installation by Tim Etchells lights up which reads ‘go with the flow/swim against the tide’ – this calls to me. As we entered, Craig makes a Dad joke about needing a coat since it is going to be ‘baltic’ (cold) inside… Staff advice is to start from floor five for the best views of the city and then to work your way down the exhibitions. My favourite floor was four, titled ‘Idea of the North’. For me, the main focus was on how the North of England is perceived by people and artists. I really enjoyed ‘A Northern Dream’ by local graphic designer, Jimmy Turrell which is his interpretation of the daring Tyne Deck. In the 1960s, architects Ryder and Yates initiated talks of creating a large deck to develop the decrepit Tyne riverside and unite the city of Newcastle and the town of Gateshead. The deck would include a large concert hall (before the Sage was born) but the idea was flushed away and deemed unrealistic. Today, seven bridges do unite the two areas, the Sage Gateshead (that big silver armadillo) which sits by the water is the city’s plush concert hall and plans to create a £200m arts and leisure centre have been unveiled. Maybe Northern dreams do come true, just not over the water! Other exhibitions include images of The Station, Gateshead’s underground music scene by Chris Killip, a massive dome-like house which homes in on sustainable resources by the MaterialDriven collective and a storyboard about the suffragette Emily Wilding Davison who is buried in Morpeth. BALTIC is a good starting point for the art and innovation trail too. The Sage Gateshead, BALTIC’s next door neighbour, has the shape of Glasgow’s SECC but aesthetics of the Scottish Parliament wearing a snazzy tinfoil jacket. Don’t be fooled by Sage’s music performance status, there are no sticky floors in this venue. The plush Sage One seats just under 1700 and this is where we attended the once in a lifetime show – The Great Northern Songbook hosted by charming Northers, Field Music. The Great Northern All Star Band also included special guests such as Paul Smith from Maximo Park, Futureheads singer, Ross Millard, Mercury award nominee Kathryn Williams and the punk legend, Pauline Murray who sang an array of songs by Northern artists from The Police (Everything She Does is Magic) to Lindisfarne (Fog on the Tyne). 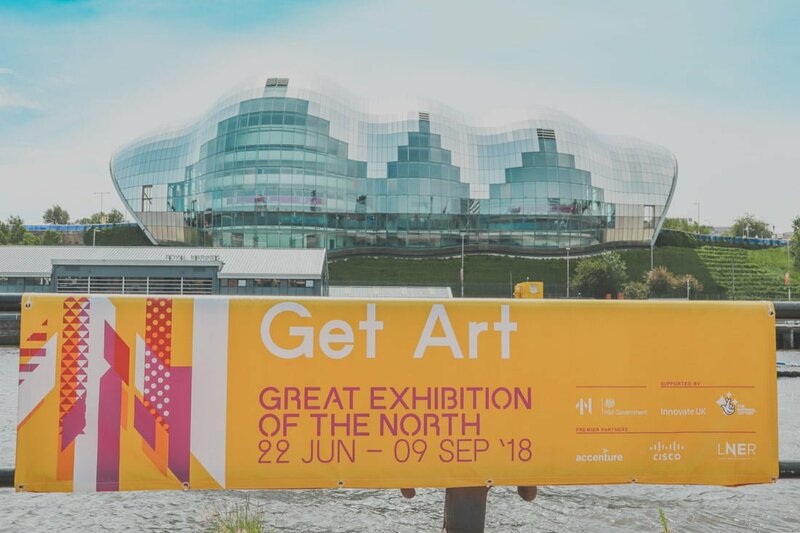 Other Sage events during the Great Exhibition of the North include a week of live music (June 22nd to July 1st) by acts such as Roisin Murphy and Vessels (Leeds), all hosted by Sunderland born, Lauren Laverne. Great North Museum is reached walking past Grey’s Monument and through the park at St Mary’s Place. There are a few green spaces around Newcastle that make you forget you are in what was once a heavy industrial city. The Which Way North exhibition held at Great North Museum celebrates the Northern pioneers from inventors to engineers, scientists and designers. 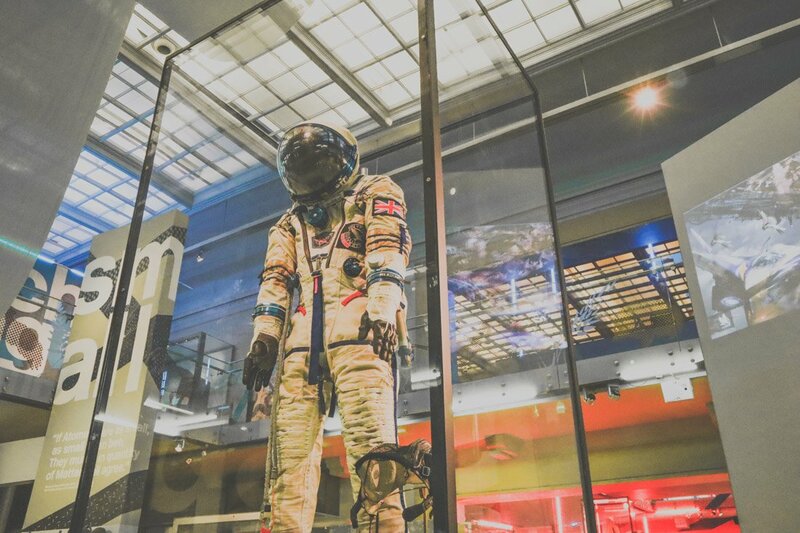 Space geeks, like Craig, will be impressed to see the space suit worn by the first British astronaut in space… a woman (Sheffield-born Helen Shaman). I was also happy to see Barbara Castles, the cabinet minister responsible for the UK Equal Pay Act, memorabilia. For an easy lunch close to the shops head to Olive and Bean which serves salads, sandwiches and tray bakes like bookends. City centre eats were also recommended (by a trustworthy local) at the vintage Tyneside Cinema. Head of Steam down by the Quayside has a ridiculous amount of craft beers on offer as well as pub grub. 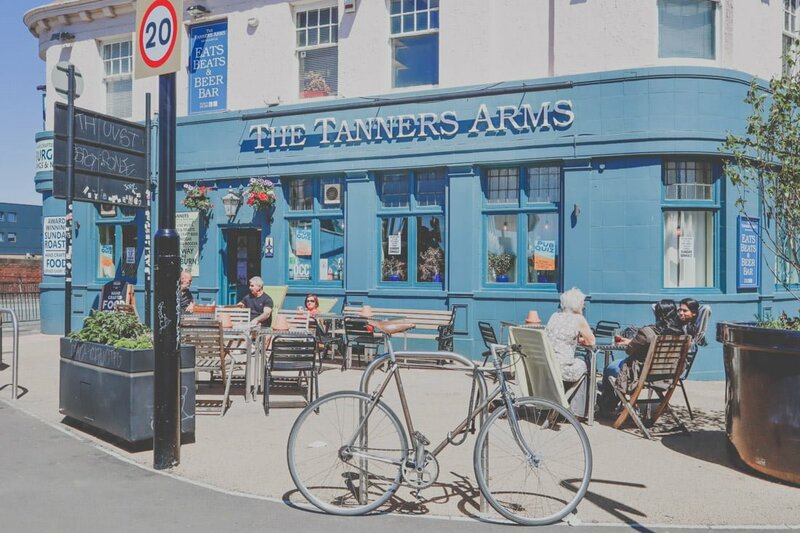 For an award-winning Sunday roast (choice of beef, sausages or vegetarian) dine at Tanners Arms in Ouseburn. This pub has a nice front with seats for warmer days. Outdoor seating and vegetarian options are available at the Ship Inn also in Ouseburn as well as a Sunday BBQ at the Trade Inn. Weekend brunch has been recommended at Ernest (close to the Biscuit Factory) too. There is a variety of accommodation in Newcastle from hostels dorms to boutique hotels so there is something for every budget. The city itself is easy to navigate by foot so location is not as important as it may be in say London. 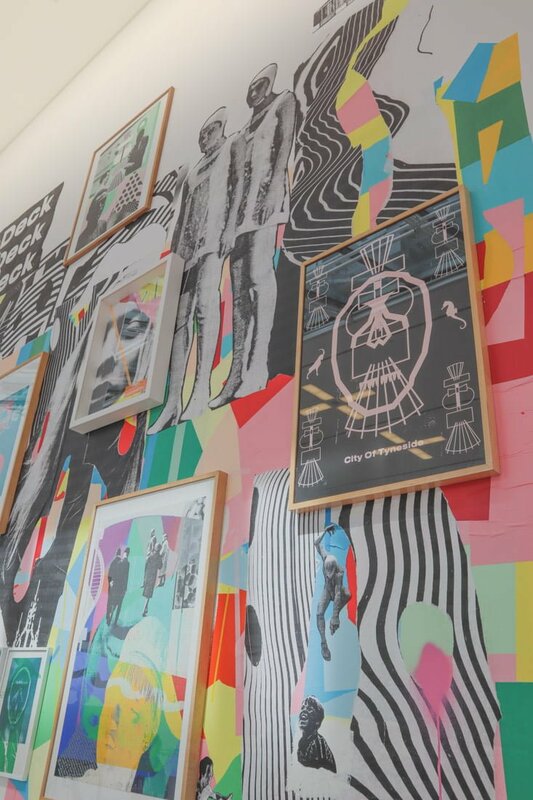 We stayed at the modern yet affordable Motel One Newcastle on High Bridge which is close to the action of the Bigg Market yet avoid the noise on a Saturday night. The Quayside is a 10-minute walk from the hotel with Ouseburn around 30 minutes away by foot. High Bridge street has lots of restaurants, bars and the Stand Comedy Club. Rooms are compact with a large TV, hot water and free WiFi. There is a bar onsite and continental buffet breakfast is available for £10. 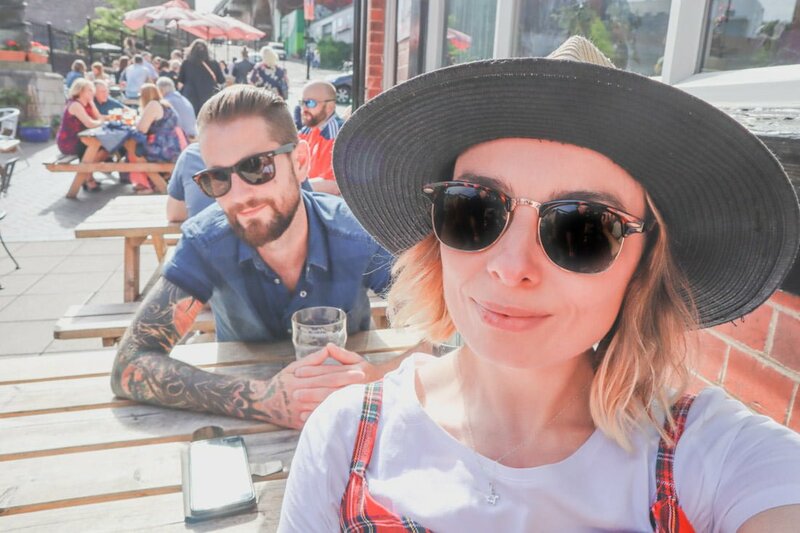 The last time Craig was in Newcastle for a boozy day out he crashed at the Albatross on Grainger Street because it is a 3-minute walk from Central Station. The hostel was voted the best hotel in England by Hostelworld customers themselves. Dorm beds are priced at around £27 per night. There really isn’t that much choice for hostels in Newcastle. Airbnb is also available in Newcastle for those looking for a private apartment rooms average at £106 but can be found for as low as £65. Private rooms are cheaper at £25-£65. New to Airbnb? 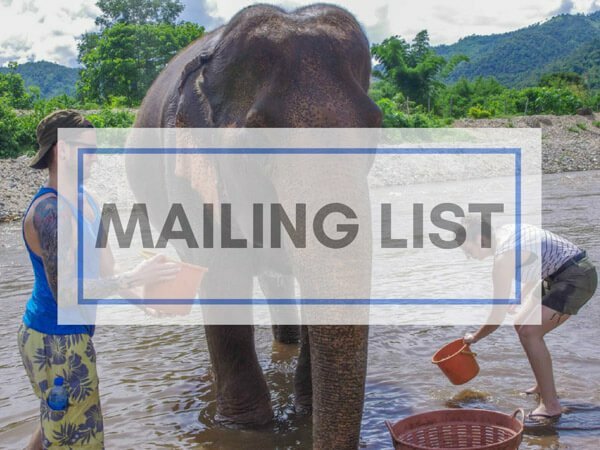 Sign up using our referral code for money off (and we get credit too, thank you). We discovered the city by foot (easily) but there is a metro underground system and bus service. Bus tours are often a great idea for those on limited time. 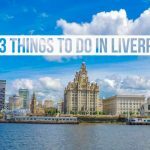 This Hop on/Off City Sightseeing tour includes 18 stops for £8 and this includes an audio guide, panoramic views (on a dry day!) and flexibility. Mobikes are the nifty city bikes that don’t require any docking station so you can pick them up and leave them anywhere in the preferred locations! The bikes are tracked by GPS and unlock through an app. Charges start at 50p for 30 minutes after an initial deposit of £1. A wheely good idea. Newcastle International Airport is 6.5 miles from the city centre and connected by the Metro (approximately 25 mins) and bus service. There is also a free bike park for cyclists. 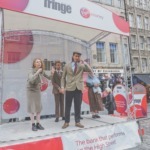 Train services operate from all major UK cities (train from Edinburgh to Newcastle is less than 1.5 hours and can be booked for as little as £12.30 in advance). Newcastle upon Tyne is in the northeast of England and the town of the Gateshead is located over the River Tyne, the two are connected by the Seven Bridges of Newcastle. The currency used in England is the British Pound (GBP £). ATMs are widely available and most shops, restaurants and hotels accept all credit and debit cards. Locals are known as Geordies and speak English with a Geordie accent. 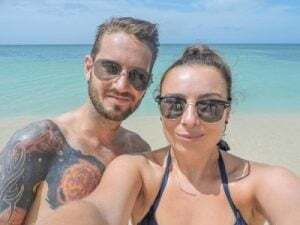 Don’t forget your travel insurance. We use True Traveller, I had to claim out in Canada after getting sick in Vancouver and they paid out promptly with no issues. 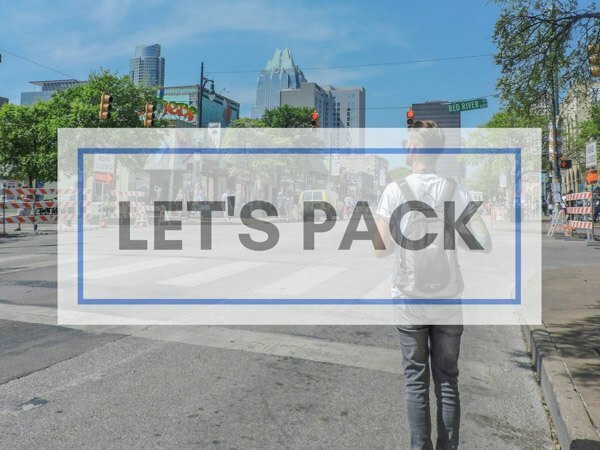 Check to see if they are right for your trip here. I honestly feel like Newcastle and Gateshead has hit a turning point and I’m happy that we are at the forefront of advertising this development. As one of our Facebook followers said, they visit Newcastle once a year but never for the historical and cultural events in our New. Hopefully, we’ve encouraged those who have been before and those that have yet to visit that the ‘new’ Newcastle has more to offer than just a Saturday night for a stag party. Disclaimer: We were invited by the Newcastle and Gateshead to review the Exhibition. As always, opinions are our own and we were genuinely excited. Really cool Gemma. And it is going down at peak summer time, meaning rocking weather for the event. Looking forward to leaving NZ in a few weeks only for the weather; leaving the cold temps to head to summer time NJ works for me. Thanks for sharing. Excitement levels are HIGH! June is pretty sweet for us. I have a hen/bachelorette party then the Exhibition then Craig’s birthday! Surprise trip, going to see how long I can keep him in the dark. Eeeee. I’ve only been to the North Island NZ and the weather was meh! NJ, New Jersey? I am really excited about heading down at the end of the month! You’ve probably guessed that. Thanks for reading. Great tips, seems like fun! This looks fantastic! It’s great to hear so much is going in in Newcastle this summer! I spend 24 hours there a few years ago and loved it – need to return and spend more time in Ouseburn valley and at the museums! I had such a fun day seeing some the elements of the Great Exhibition around Newcastle – you were lucky you had a bit more time to see some of the other things too. I really liked the Ouseburn area of Newcastle, would go down to hang out there over a weekend for sure. I need to explore Jesmond too.